**Must be a current EMT to take this course. No practical skills psychomotor stations, scenarios and hours only. This course is based on EMS Education Standards that will govern the way we learn and practice EMS. This course meets the current American Heart Association guidelines for CPR and ECC. 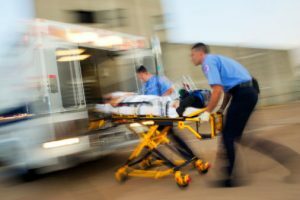 The Emergency Care 13th edition is the most current selection of EMS practice and shows what EMS systems and EMT’s are doing around the country. However, we must always follow our local protocols. EMT’s are a member of an organized emergency medical services team. They Recognize, Safely assess and Effectively manage crisis situations and patients of an emergency nature encountered in the field of a Pre-hospital setting, Emergency Departments, Clinics, EMS team for Fire, Police departments, Event work, and Transportation drivers. The course will be covering the NCCP Model and receiving 20 hours NCCR and 4 hours for the LCCR/State. LCCR/State balance of 6 hours and ICCR 10 hours will be obtained on your own. eLearning course begins with a course key. A code will be sent to you prior to start of class, so you can take the BLS CPR online. This product is NON-REFUNDABLE once redeemed. You will receive a email from AHA to take the course. Expect the HeartCode® BLS course to take 2-3 hours online, with an exam. Print the completed certificate and bring to class. 2. http://emsrblm.mn.gov – Follow prompts of yes/no. 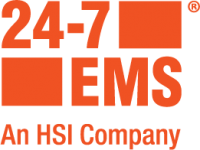 sign in and fill out EMS application for new or refreshing certifications. 4. https://www.cdc.gov/headsup/providers/index.html -Click on the Online concussion training and then hit the Launch to start the course. Do not leave the CDC website and go to the web. Stay within the CDC’s program. When you have completed the course it will give you a certificate. Bring this to the class.